The element will not be connected to a data field with this option. 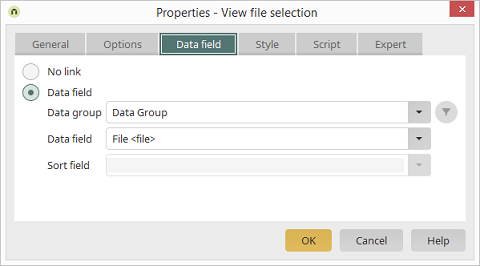 Select the data group and file data field here. If the file data field comes from a child data group, a filter expression can be defined here that restricts the data before it is displayed accordingly. The field which should be used to sort the data records from the child data group can be selected here.